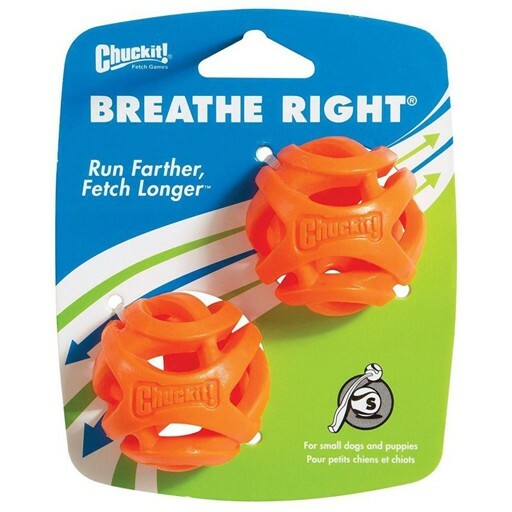 Run farther, fetch longer with the Chuckit! Breathe Right Fetch Ball! This high performance, patent pending ball is designed to facilitate breathing and airflow into the dogs lungs while running and fetching.